As our name suggests, we are a choir which sings four-part harmony, Soprano, Alto, Tenor and Bass. All of the music that we sing has been arranged by our very talented Musical Director, Ben Jones. Currently we are singing a selection which includes Don’t Let the Sun Go Down on Me, Bad Day, Con Te Partiro, You Will be Found, Mr Songbird, I Will Survive, Wind of Change, and Stand by Me. We have also written our own song, Find Your Way, which identifies strongly with resilience. 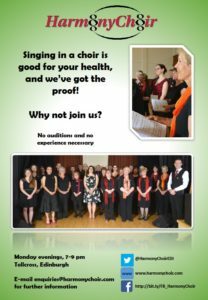 Everybody is welcome to join HarmonyChoir, no auditions are necessary and no previous experience is required. Our fees are £120 a year, paid monthly at £10 a month. A limited number of concessions are available. We offer the first 3 visits as a free trial, to allow new members to try us out before committing. 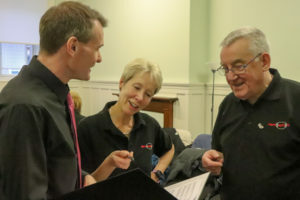 The choir provides a folder with all of the scores for the current repertoire, access to mp3 tracks of all of the different parts – to aid learning the songs – superb for those who don’t sight read, frequent opportunity to sing with the choir in formal and informal settings throughout the year, and the choir polo shirt – for informal events. All new members will be offered a free singing lesson once they have been paying fees for 4 months. Please refer to this timeline for further information about what to expect when you join HarmonyChoir. We also run a number of social events throughout the year. 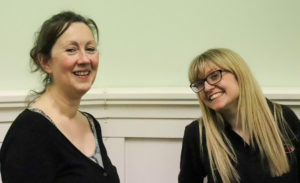 As a Member of HarmonyChoir, we request that you aim to normally attend at least two-thirds of the weekly rehearsals. We would also hope that you would perform with us, as often as possible, at the range of formal and informal events that we undertake. We understand that periodically, or perhaps even permanently, any member may be unable to meet this level of commitment. 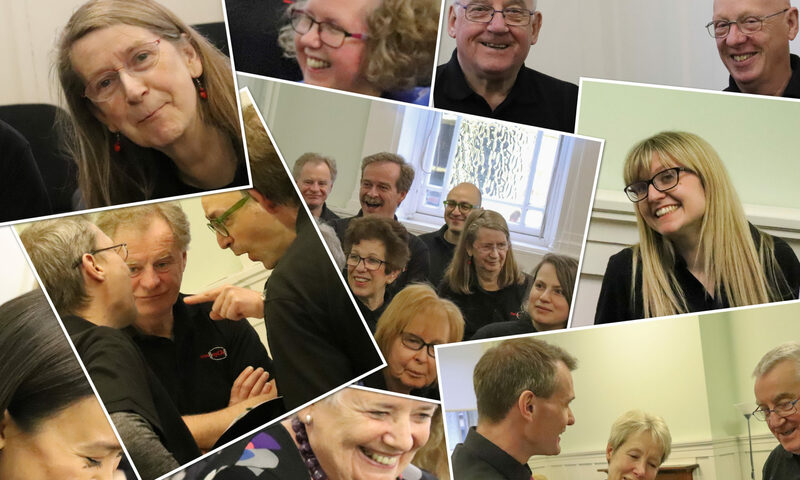 You are still very welcome to join us, as we are aware of the benefits of singing, and don’t wish to create any barriers to prevent that from coming to pass. All we would ask is that in this event you discuss this with the Musical Director and/or Membership Secretary so that this can be accommodated from a musical perspective. All members should expect to practice between rehearsals, making use of the mp3’s and scores provided by the choir. New members should expect to have to get up to speed on some of the past repertoire. 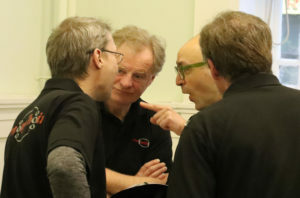 The Musical Director will be able to assist you with this and will periodically put on additional rehearsal time for newer members to cover the past material. 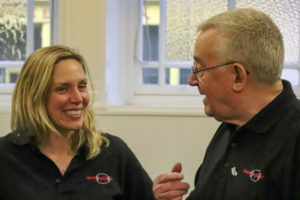 The results of the original research project which created HarmonyChoir showed that participation in a singing group leads to improved mental health, well-being, and social relationships as well as positive changes in self- and social identity, increased empowerment and connectedness with others. 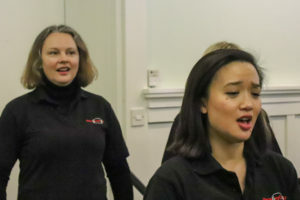 HarmonyChoir members can testify that singing in a choir builds friendships and connectedness, increases social identification and is a fun and exciting way to spend your free time.